Purity, Simplicity and Elegance ... Customers love our Hard Maple Hardwood Flooring! There are 128 species of Maple trees, most of which are native to Asia, and some are found in Europe, Africa and North America. Synfonia Floors uses Northern Maple lumber, rich in charcater and design, to create the distinguished look that our cusotmers desire. Maple hardwood along with American Walnut and American Oak floors have played a significant role in the history of American flooring. 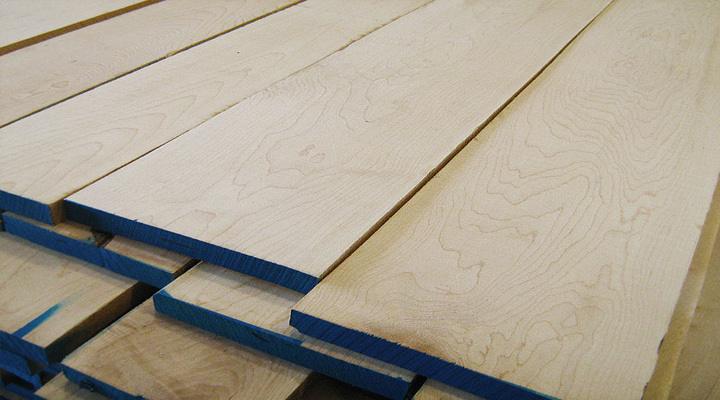 This beautiful species is creamy in color with a slight variation in color shade noticeable from one plank to another. It is very common to see streaks of brown and black minerals in this product. Maple is renowned for being a very hard wood species and is often recommended for high traffic areas as well as for young and active families. Allow Synfonia Floors help you select the right species for your projects.